1. Is education a top issue? Why or why not? 2. What is number one priority in education: enrollment, quality of education, number of schools, quality of teachers, or number of students? The team received over 90 responses from eager community members. Rama, one of the team leaders, discussed them on air with Koch FM’s veteran host, Doreen. 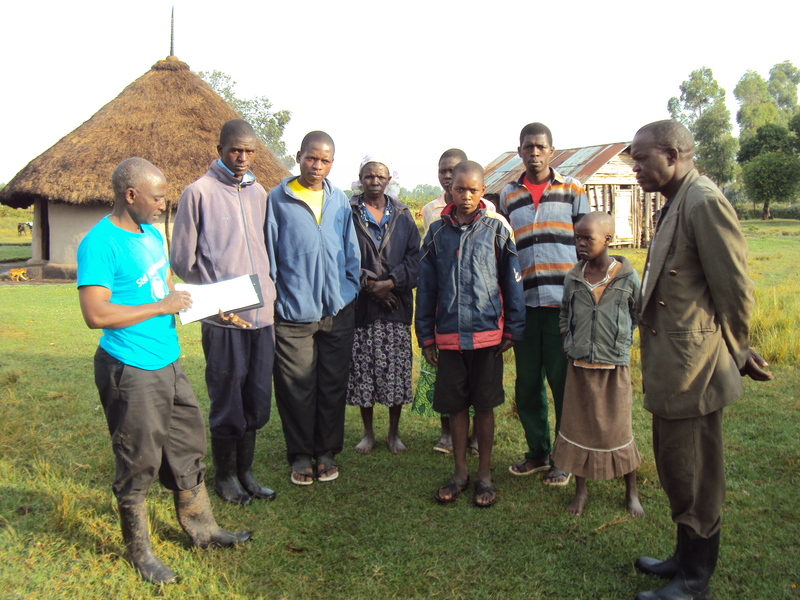 After introducing the SNA-K mission and unique methods to new listeners, they dove into discussion of the on-the-ground issues with education. There are over thirty informal schools but only two government schools in all of Koch. Most schools are faced with staffing shortages as well as unprofessionalism, especially in the informal schools. Inadequate education leads to large numbers of drop outs, causing problems like community ignorance, teenage pregnancy, drug abuse, and crime. Many responses from the Kasarani SMS subscribers were read on the air. Laments over the lack of equal opportunities for education in the slums, cries for more involvement from the community, and demands that the government make education a top priority were among the replies. Rama and Doreen reached out to three especially concerned citizens who had sent in SMS. They complained about the excessive school fees and the unfair distribution of government education funds. They made suggestions to educate the community on the importance of education for the youth. As one subscriber put it, “education liberates passion to think outside the box.” This passion is necessary for the community to voice its opinions and have its needs met. Stay tuned as we continue to hear from the Kasarani community!